Most gardens are enclosed by some variation of barrier hedging or fencing. This means that creating a suitable barrier hedge is an integral part of styling your garden. Barrier hedging can provide either privacy from nosy neighbours or create a physical barrier to keep out intruders. Another important aspect of barrier hedging is providing shelter from the elements, as barrier hedges are often planted in order to offer shade or create a windbreak. And in contrast to fencing, hedges do not need to sacrifice looks for practicality, as there are plenty of attractive looking hedging plants on the market that are perfectly suited for barrier hedging and therefore, offer a much more attractive alternative to a rather dull and monotonous wooden fence. When creating a privacy hedge or screening hedge as a visual barrier, it is most important to choose a hedging plant with a dense, preferably bushy growth habit. Evergreen hedging plants are the most popular choice among people trying to create a barrier hedge of this nature. Medium to fast growing hedging conifers, such as the thuja (red or white cedar), the dawn redwood and the exceptionally fast-growing Leyland cypress are all suitable for producing a thick hedge in a relatively short amount of time. 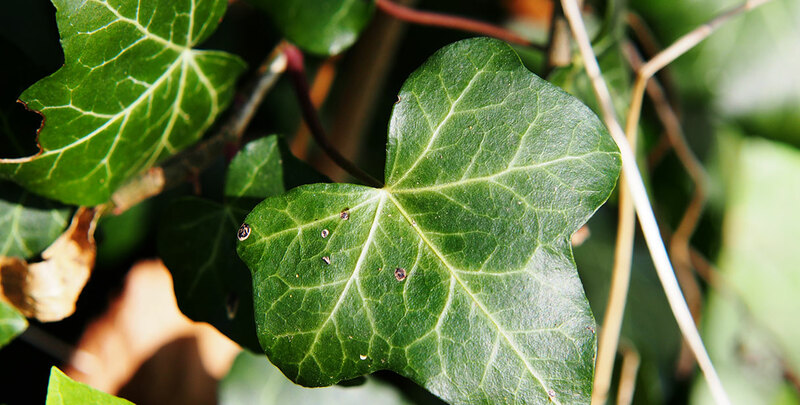 While ivy may not immediately come to mind when thinking about hedging plants, ivy screens are also an excellent choice for barrier hedging, as they can be delivered readymade. And even if they are not, ivy screens will quickly offer a glossy, green fence that does not require a lot of space. Well-known (semi)evergreens, such as the privet and the yew, are also suitable species for barrier hedging purposes, although they do not grow quite as quickly as the aforementioned species. If you are looking for a more unconventional barrier hedge, you may want to consider growing a bamboo hedge. Bamboo may not be the first type of plant that comes to mind when considering hedging, but it will grow to form a dense, impenetrable wall of long, green leaves and attractive stems, keeping your garden well-sheltered and even adding some oriental interest to your garden with its appearance. If you would prefer an attractive evergreen that also offers seasonal interest in the shape of flowers, we would highly recommend looking into the option of planting a cherry laurel hedge in your garden. In case you desire to create a prickly security hedge, you will have many classic countryside hedging plants at your disposal. 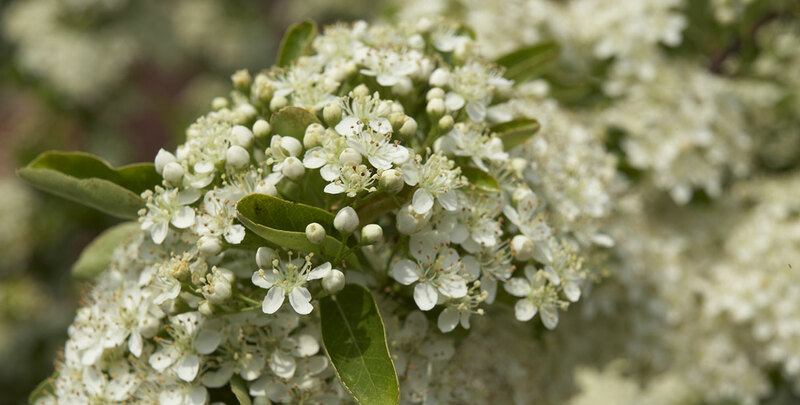 More informal hedge plants, such as hawthorn, sloe (alternatively known as blackthorn) and dog rose are all plants that are traditionally used to make livestock barriers. Though deciduous, their dense and bushy growth habits will ensure a certain degree of privacy throughout the year. Due to their fierce thorns, high quality gloves are recommended and possibly even essential for maintaining these plants. A non-native plant also worth considering is the rosa rugosa, which is also known as the apple rose. Due to its extreme hardiness and tolerance of salt, it is a valuable alternative for garden enthusiasts with a seaside garden. The same applies to the oleaster, which has the added bonus of being evergreen. All of these thorny, deciduous hedging plants have the additional benefit of producing pretty flowers that will not only enhance their appearance; they are also beneficial to wildlife. Pollinating insects often use these flowers as a source of nectar, while the berries that follow the flowers are an important source of nutrition for birds, who also like to use the dense, thorny branches of these species to protect their nests from being attacked by cats or other predators. Should you desire to combine the best of both worlds, consider choosing an evergreen barrier hedge that will also be formidable to keep out intruders. 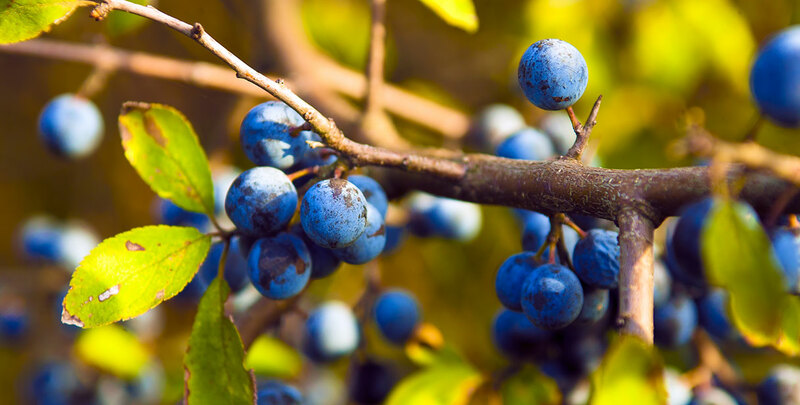 Berberis, better known as barberry, is cultivated in both deciduous and evergreen varieties. The cultivars ‘Amstelveen' and ‘Telstar’ are both evergreen shrubs that boast a dense growth habit and fierce thorns, making them ideal barrier hedges for smaller or urban gardens. Another way of combining the seasonal interest of a deciduous hedging plant with the year-round screening opportunities of an evergreen is to create a mixed hedge by planting a deciduous, flowering hedge against an evergreen backdrop. This way, you can even enjoy the privacy of a screening hedge when the flowers of the deciduous hedge plant have dried out and its branches are bare. 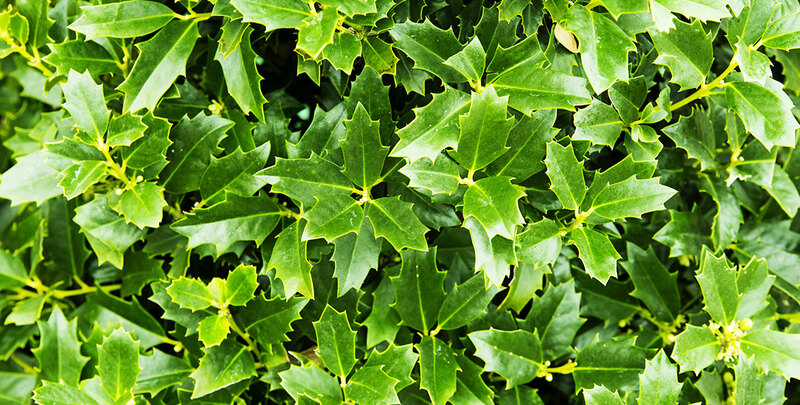 If you are partial to native hedging plants, you could consider using holly to create an impassable and visually interesting barrier hedge. If you are looking for a more exotic option, but bamboo is a little too exotic, you could also consider planting a firethorn hedge, as firethorn also boasts attractive, colourful flowers and berries. In a way, barrier hedges are the most traditional of all hedges, as the first hedges that were planted over 5,000 years ago were there to create a barrier around farmlands. Not only to mark the border between lands, but also to protect the crops that were grown there from being stolen or eaten. Through the years, the ornamental value of hedges has been enhanced, but the main function of a hedge is still to form a barrier between two gardens or pieces of land, even if you choose to plant one mainly for its appearance. Whatever hedging plant or combination of hedge plants you choose to plant in your garden, a practical and pretty barrier hedge can be achieved in any garden. We are here to assist you in finding the perfect barrier hedge for your garden and farmstead.